An email to Topman UK also reveals that there will be some shrinkage since it wasn’t washed as I guessed earlier. A 30 waist actually measure 33.5 which meant washing the pair of selvage might redered it unwearable as I am unsure how much it would shrink. So dry cleaning it will be, for the time being. Little did I know there’s another source for selvage here in KL. These are basic and not to be compared with Japanese variant. If compared to Uniqlo, these are a little more stylish. Though they are in the lower price point I must admit the design (subjective), quality, detailing are pretty outstanding. For £45, its a bargain. Tab: Says – Slim fit with a longer rise. Lovingly cut from the finest raw denim. With premium trims and hand finished to the highest standard. Other features: Cinch back, front and back coin pockets lined with selvage, colored inside pockets, rivets on the back pockets. I love the simplicity of the Red Devil. Men’s Red Ear slim fit five pocket jean. Features Red Ear trims and button fly. 100% cotton, made in China. Not available to US customers. Men’s slim fit jeans from the Red Ear Collection in dark blue. Featuring two front pockets and two back patch pockets with contrast top stitching. 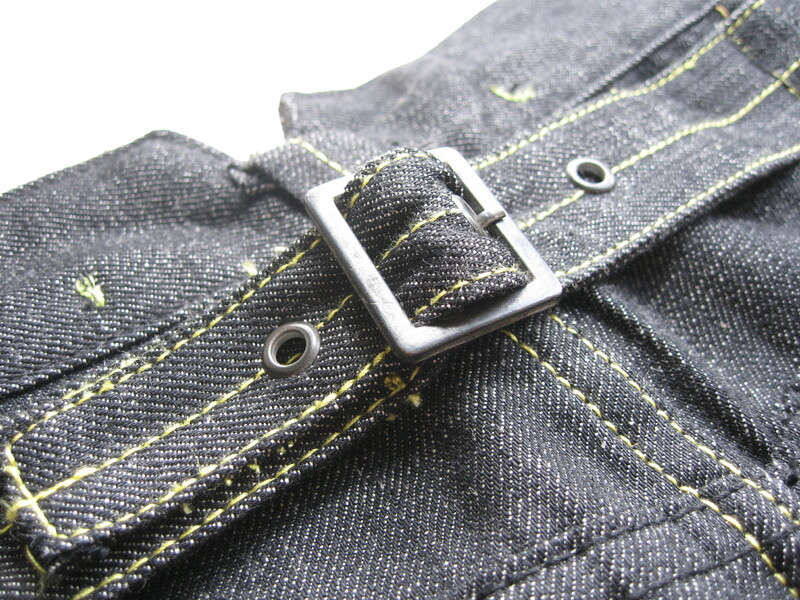 The jean also features belt loop detailing and Red Ear branded rivets and trims. 100% cotton, made in China. Not available to US customers. 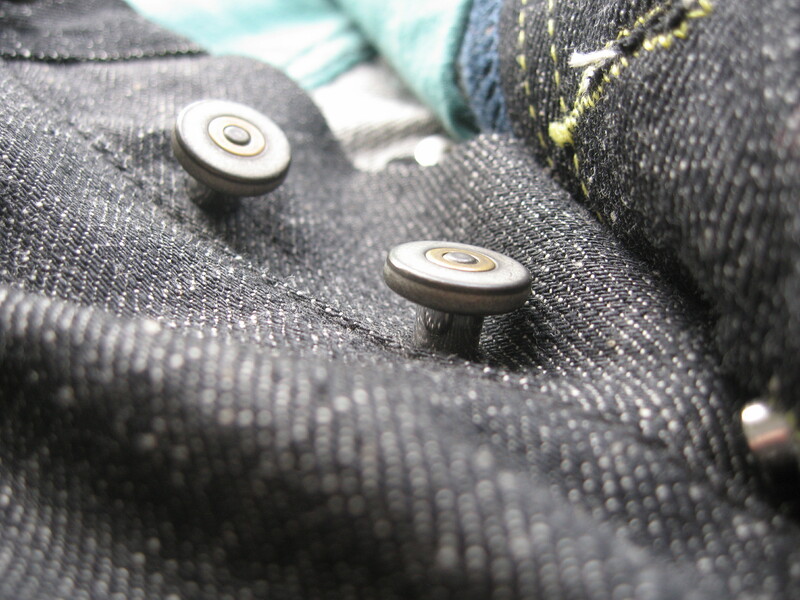 In the spring of 2007, RAMPUYA LTD (Address: Kurashiki city Okayama pref., Japan/ President of the company: Hisao Manabe) presents and begins to sell “Momotaro Jeans” which are born from Mr. Manabe’s firm intention for manufacture and creativeness. He made the high-grade denim fabric which was created with all the ingredients which he himself selected such as yarns, colors, and weaving patterns. And he used those fabrics to make the ultimate jeans with the special skills of sewing and washing finish. He named the jeans “Momotaro Jeans”, which he named after the ancient hero in the folktale of his home. In the folktale, Momotaro, or the peach boy beat devils and brought peace to the village. Mr. Manabe had been pursuing the real denim which remain for decades and finally made the high-grade denim fabric by using cotton from Zimbabwe. It is not a mere extension of denim as work wear, but it has been highly evaluated as a real material for fashion by some of the major super brands in Europe. Now it is reputed as a high-grade material for luxury jeans or premium jeans, which has established one of the categories as fashionable items. The denim fabric for “Momotaro Jeans” is made with the technology that has been developed in those processes of making high-grade denim fabric, and all the yarns of this denim fabric are made from Zimbabwe cotton. 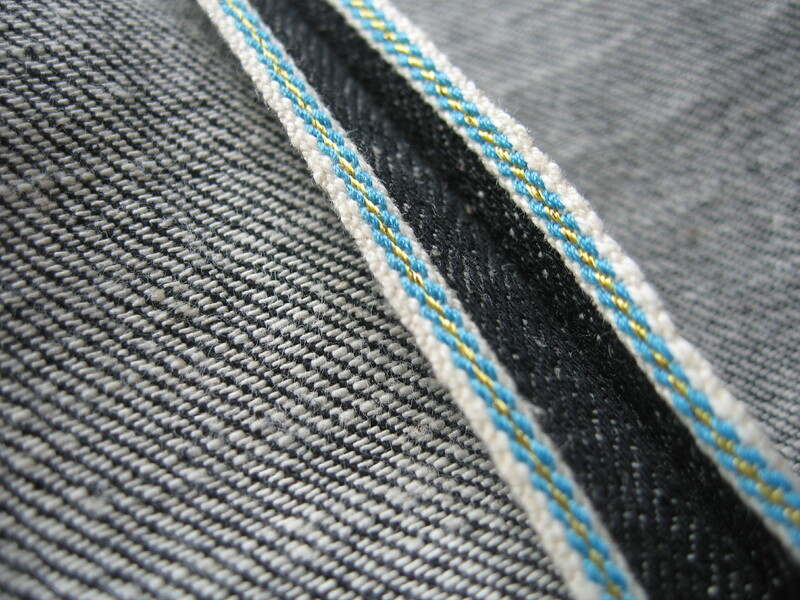 The whiteness and the length of filament make the texture of “Momotaro Jeans” soft and comfortable. 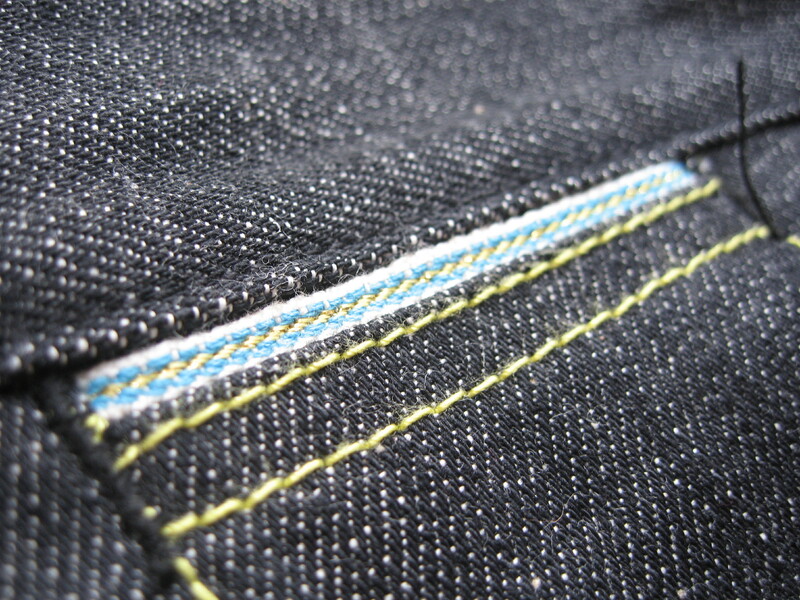 The color of “Momotaro Jeans” is called “Japan Blue TM”, which is known for worldwide and remains for good. First Mr. Manabe wanted to make a color which did not existed in denim fabric and to make it a pride of Japan. He thought of an old Japanese cloth dyed with indigo and then he developed the greenish dark blue color, which he named it “Japan Blue TM”. When it was presented, it got a lot of good response. The first delivery of the fabric using the color flew the shelf at once, and continuing additional orders followed. As a result he got the position as a manufacturer of high-grade denim fabric. After that he pursued “Japan Blue TM” and the color became “Japan Blue TM” of “Momotaro Jeans” which exceeds any blue colors ever existed. This color of “Momotaro Jeans Gold Label” is dyed by hand as each hank of yarns in the atelier of his company. The yarns are dipped into the liquid of natural indigo by artisans of the atelier, dyed by rubbing of their hands, washed with water, and dried in the sun. The artisans repeat this process and the color will be fixed gradually. It needs a lot of days to dye yarns into dark colors because they have to repeat the process again and again. They can finish the color of “Momotaro Jeans Gold Label” by repeating the process for more than thirty times. Dying with Ai, natural indigo is a very sensible work because Ai is like a kind of living thing and it depends on its condition or the weather of the day. It takes three to six months to dye the amount of the warp used for a piece of fabric with the color of “Japan Blue TM” which is made for “Momotaro Jeans”. 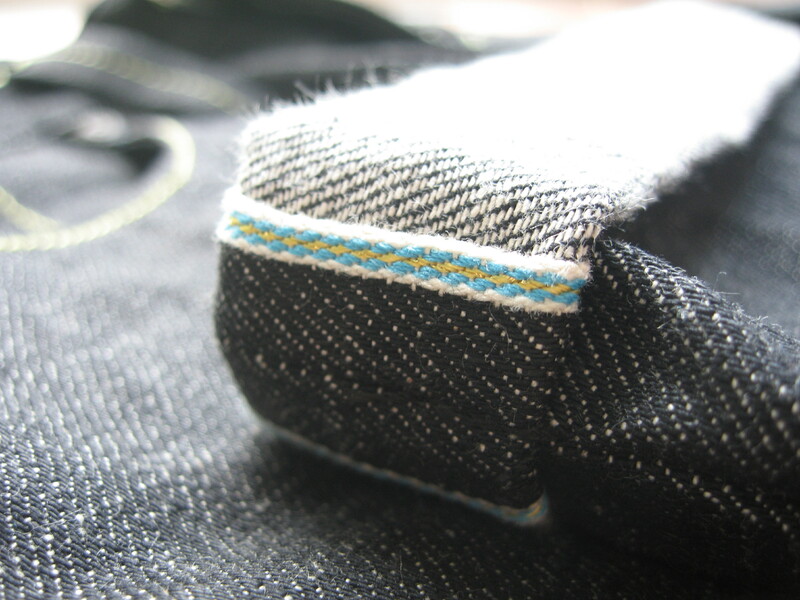 And the fabric used for “Momotaro Jeans” is woven by old fashioned strong machines called shuttle weaving machines. Compared with a cutting edge weaving machine, it is rather inefficient to use a shuttle weaving machine because it can weave only one piece of fabric per day. But the weft of fabric woven with it is very stiff, and there remains unevenness on the surface which can make you feel particularly good about it. As time goes by you can enjoy various expressions of it. The textile of “Momotaro Jeans Gold Label” finished after the process mentioned before is amazingly soft, smooth and comfortable to wear. Its texture is particularly good and the color does not fade. On the contrary, the color adds its vividness when it is washed for many times, and it reflects the various shades by different lightings. That’s the blue color of Rampuya, “Japan Blue TM” which can be expressed only by natural indigo from plants, not by synthetic indigo. Mr. Manabe also established a factory in Ajino district of Kojima city. He equipped various kinds of machines which can be used to sew the specification he wanted. In his factory, some of the parts of the jeans are sewn sturdily with the vintage machine of Union Special, and it can characterize antique taste of the jeans. Moreover he established the factory specializes in washing finfish of the jeans in Akazaki district of Kojima city, where he can freely express what he clings to. Mr. Hisao Manabe is the recognized authority who has developed the techniques and workmanship in Okayama, which is now the production center of high-class denim of the world. “Momotaro Jeans” is the jeans Mr. Manabe himself created with his enthusiasm, in his own atelier and factory. And he clings to all the processes of making jeans from the selection of the cottons to washing finish. So one pair of “Momotaro Jeans” is made up of highest refinement that Mr. Hisao Manabe concentrates all his philosophy of “the traditional skill and the modern technology”, “the power of prominent skills”, and “the manufacturing without stereotypes” into the color of Rampuya “Japan Blue TM” selected by the world. In the year of 2007 they sell “Momotaro Jeans” at about twenty shops, three of them located in Ajino, Nakaune, Okayama Pref. and Ebisu, Tokyo are under the direct management of Rampuya. The made-to-order jeans are also available at those three shops. O&O Inc. PR representative of Ramuya Ltd. Affiliated Company: Collect co., ltd. Finally, I’d manage to sort out the formatting issue with wordpress. Now, major Japanese selvage denim costs between a humble \13,000 for a simple, affordable, good quality and yet classic pair to \30,000+ for a more elaborate pair with natural indigo and other special touches. And if that is consider cheap to you, try a buying a \60,000-\80,000+ limited edition pair of denim available only from selected labels. Momotaro label covers most price ranges and then came their \178,500 super exclusive denim. \178,500 which equates to roughly $1550, just for a pair of denim? You must be out of your mind to spend that kind of cash on a pair of trousers in my own term. For the price you are paying, you’ll get exclusivity, the selvage denim fabric alone takes a whooping one year to get ready. Katsuya Kimura of Denim House was very helpful with my enquiries and here you’ll find details of Momotaro’s selvage denim line up. The collection of Momotaro Jeans is made up of four different labels. High-end class is “Momotaro Jeans Gold Label”. 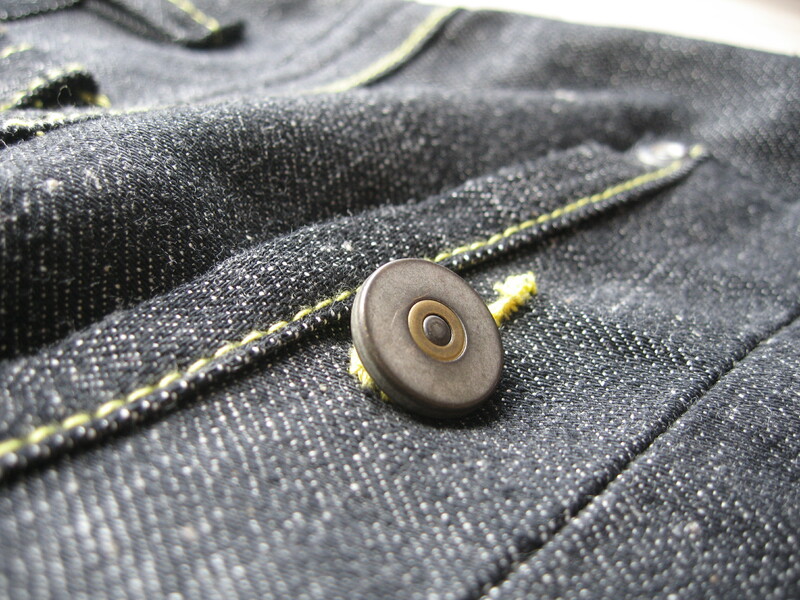 Only the topnotch materials and traditional skills of artisans are concentrated to make “Momotaro Jeans Gold Label”. Then “Momotaro Jeans Copper Label” for　upper class, “Momotaro Jeans Red Label” which they recreate the jeans of good old days, and “Momotaro Jeans Blue Label” as jeans of the future are created with some arrangements from basic jeans. Jeans of all hand-made from natural indigo. l The fit is a little roomy, straight legs with higher rise. l The material of cotton is extremely fine as it is used for the fabrics of dress shirts. Natural indigo from plant is used for hand-dying the warp, and the fabric is hand loomed. l This one does not fade, but it has beautiful thick and thin color. l The leather patch is made of steer hide with the illustration of Momotaro gilded on it. l The pocketing fabric is also dyed with natural indigo. l The quantity of production is limited because it needs more than a year from dying yarns to finish garments. This is the best and the ultimate you can buy. Jeans made of hand-dyed yarns with natural indigo. l The material of cotton is extremely fine as it is used for the fabrics of dress shirts. The warp of the fabric is hand-dyed with natural indigo. l The fabric of back pockets is woven with a hand loom using hand-dyed warp yarns with natural indigo. Jeans made of hand-dyed yarns with indigo. l The yarns are blended of three different types of organic cottons, which reflect the look of ancient times. l The warp of the fabric is hand-dyed with indigo. l The fabric of back pockets is woven with the warp hand-dyed with natural indigo. Classic Jeans made of yarns dyed with indigo. l The fabric is made from Zimbabwe cotton which is soft, glossy, and superior in whiteness. l The leather patch is made of saddle leather branded with the illustration of Momotaro on it. l The original buttons are used for front closure. 14.7oz Old Blue Jeans 1st type. l This model is made of the denim woven by most experienced artisans and sewn with persistence to the details. l The fabric is made from Zimbabwe cotton which is heavy and strong but easy to fit your skin.l The color is the recreation of the denim they began to make for the first time in Japan. l The fabric is woven carefully, and only one piece can be finished a day. And the raw fabric is used for this model in order to make full use of the good texture it has by nature. 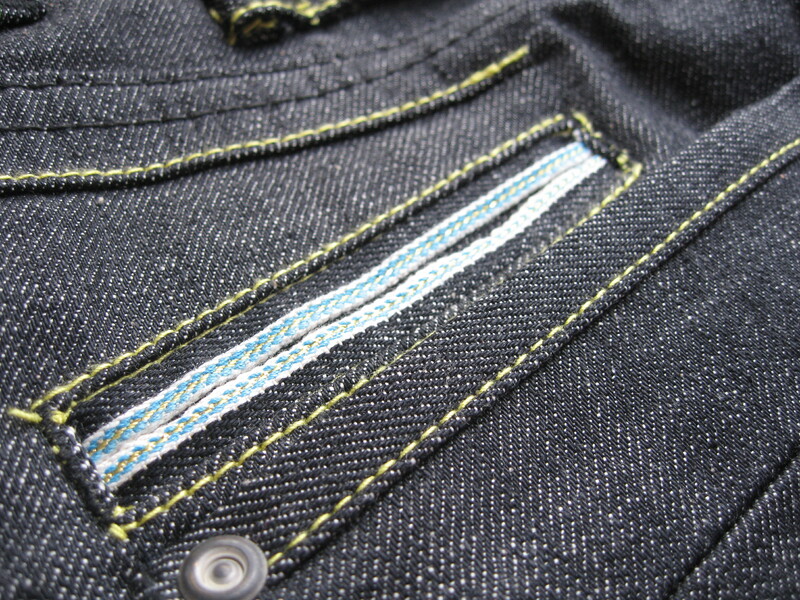 After wearing repeatedly, the expression of jeans becomes more and more peculiar by the character of raw twill fabrics. l This is the ultimate jeans for daily wearing. The more you wear it, the more you like it.